Networking event for entrepreneurs hosted by Kenny Burns with a discussion panel featuring Bun B (UGK), Steve Canal, Enitan Bereola, and Essence Atkins. DJ Trauma will provide the musical backdrop, refreshments and food will be served. 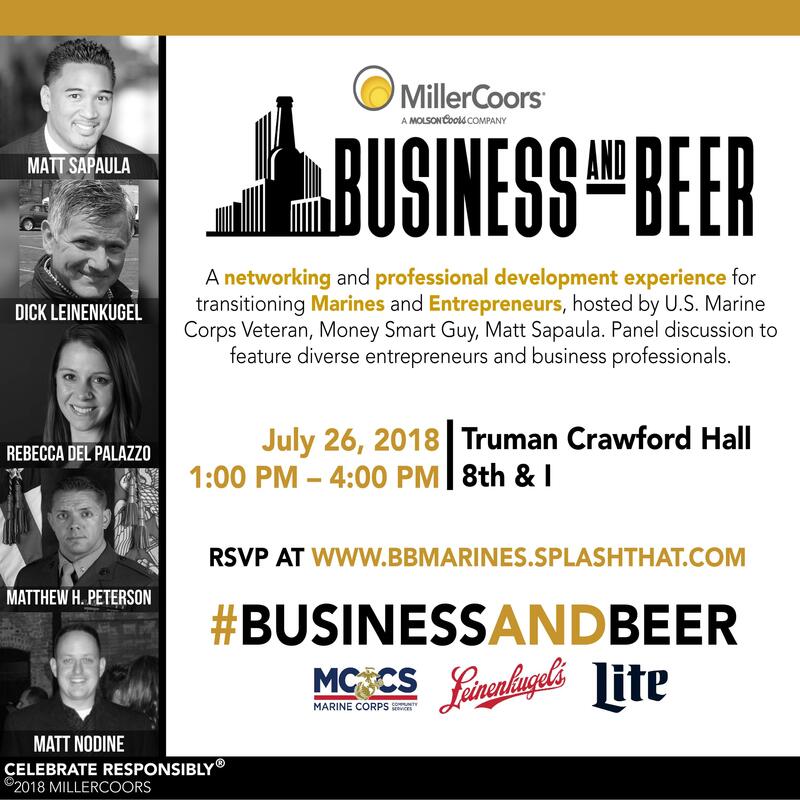 MillerCoors Business and Beer is a national networking series that empowers aspiring entrepreneurs and business professionals. A networking and professional development experience for transitioning Marines and Entrepreneurs, hosted by U.S. Marine Corps Veteran, Money Smart Guy, Matt Sapaula. Panel discussion to feature diverse entrepreneurs and business professionals. Guests will enjoy a MillerCoors hosted bar. This is a private invite-only event. Identification will be verified at the door. Grab a complimentary refreshment, mingle and save yourself a sweet spot for the panel discussion. There is plenty of room to spread out, have a snack and spend the time networking with peers. Kenny Burns, The Lifestyle Specialist, entertainment industry executive, television and radio host and entrepreneur. Henry Ong, Senior Global Marketing Manager at Marvel Entertainment. Steve Canal, National Community Affairs at MillerCoors. Enitan O. Bereola II is an American author, columnist, speaker and entrepreneur. Asya Shein is a lifestyle and experiential marketer. She is the founder and publisher of Fusicology.com, an online source for progressive events, music & culture. Marcus Harvey, also known as the “BarberStar”, is the founder of BarberStar Enterprise LLC, and Musa Lair Grooming Gallery, he is the premiere sought out luxury barber and grooming professional of our time.